The small cavities or the hollow spaces in your skull are called paranasal sinuses and they normally stay filled with air. Their work is to produce mucus and discharge it out of the body by picking up bacteria, pollutants and dust particles. The problem begins when your nasal passage gets swollen up or becomes irritated due to some allergy, air pollution, smoke or a viral infection like cold and flu. The easy flow of mucus and air is thus stalled giving way to bacterial infection. It may be an acute sinus infection or chronic sinus infection. Acute sinusitis lasts for seven to ten days and may give you a headache along with nasal congestion, difficulty in breathing, thick discolored mucus, facial pressure and pain. Chronic sinusitis which stays for an extended period, even for four months or more, sometimes occur due to defects in the structure of your nasal passages or nasal polyps. These block your sinuses and prevent them from draining. For structural deformity, you may have to undergo surgery but for other symptoms like a headache, congestion etc. you can always take help of home remedies for sinus infection. Ginger is perhaps one of the most ancient ingredients that have been used by various civilizations for a range of ailments. The common ginger that we use casually in our dishes contains many useful components including volatile oils, gingerols, shogaols and pungent phenols. Of all these, pungent phenols and volatile oils in ginger are thought to be excellent expectorant. As per the American Journal of Rhinology & Allergy, dietary polyphenols like gingerol, quercetin, and EGCG, are capable of inhibiting the secretion of mucus from respiratory epithelial cells while maintaining normal nasal ciliary motion. Using ginger, thus, may give you easy breathing and comfort from nasal pressure due to blocked sinus. You may use ginger for sinus infection in a variety of ways. How to Use Ginger for Sinus Infection? Place the grated ginger in a pot, vessel or a cup. Pour boiling water over this ginger. Allow steeping for about 10 minutes. Strain and add honey if using. Honey will soothe your sore throat if it accompanies your cold and cough. Sip your ginger for relief from nasal congestion, cough, cold etc. due to your sinusitis. Chop the ginger in small pieces. Crush the chopped ginger with the help of mortar and pestle. Place the crushed ginger on a sieve or a cheesecloth. With the help of the back of a spoon or fingers presses the ginger to extract its juice. Take 1-2 tsp of this ginger extract twice a day. Make ginger tea following the steps are given above in the 1st way to use ginger for a sinus infection. Don’t add honey though. Let the tea cool down a little. Check its temperature with your finger after some time. If you can tolerate this, the tea is ready for further use. Dip the hand towel in the warm ginger tea and soak to absorb the tea. Now take it out and squeeze to drain off the excessive tea. Lie down on your back and close your eyes. Place the warm towel on your face and breathe in deeply. Repeat this 4-5 times or till the ginger tea is completely cold. Garlic is nature’s antibiotic! Whenever you go to your doctor for your sinus infection, you are given a whole lot of antibiotics. True, these antibiotics kill the bad bacteria but they also kill the good bacteria in your body. You can protect these good bacteria while still killing the bad ones with garlic, raw garlic. Yes, if you truly want your garlic cloves to work as antibiotics, you have to have them raw and crushed. 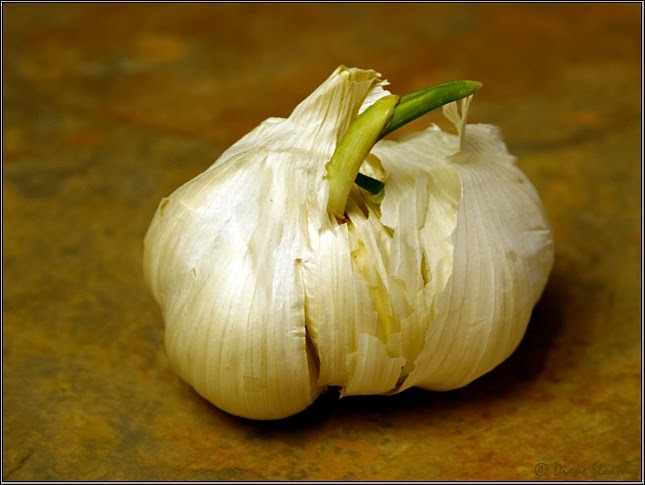 When you crush a raw garlic clove, you activate its anti-bacterial, antiviral and anti-fungal component allicin. So here is how to use garlic for a sinus infection! How to Use Garlic for Sinus Infection? Take the garlic cloves and soak them in water for some time, about 5-10 minutes. Now crush the garlic cloves to get garlic paste. Take this paste close to your nose and inhale while breathing deeply. Most of the times, your nose is so blocked that neither you can breathe deeply nor you have any sense of smell. So, you won’t get the bad odor of garlic and if you can smell, this is a very little price to pay for getting relief from a sinus infection. Even if you can’t breathe deeply, try to inhale the fragrance (or odor) of the garlic paste. This will loosen up the mucus and help you breathe comfortably. There’s nothing better than having raw crushed garlic. This can fight off your sinus infection effectively. Just crush 2-3 garlic cloves and swallow them with water. If you can’t do this, there are more delicious ways to eat raw garlic. Make a paste using 3-4 garlic cloves. Mix this paste with 1-2 tsp of honey. Have this twice a day 5 minutes before meals. You may also make a juice or soup. Just blend 3-4 cloves of garlic along with 2 tomatoes. Add juice of ½ -1 lemon and a dash of sea salt to this. Mince 2-3 garlic cloves and add them to your bread spread. This can be anything, from butter to mayonnaise. Spread this on bread and have it. Include raw garlic, and also raw onions, in your salads. Make a garlic dip by mixing minced garlic with mashed avocado. If you are suffering from nasal congestion due to inflammation, you can use fenugreek seeds remedy for sinus. When there is nasal congestion, you can feel sinus pressure in your eyes, cheeks, teeth and forehead along with a sinus headache, coughing, reduced or absent sense of smell and taste as well as post-nasal drip. Post-nasal drip is the continuous dripping of mucus down the back of the throat which may lead to a sore throat, cough and bad breath. This is all due to swollen sinus membranes. Fenugreek herb, due to its anti-inflammatory properties can give you relief from these discomforts. You need to make fenugreek seeds tea for this. How to Make Fenugreek Seeds Tea for Sinus Infection Remedy? Add fenugreek seeds to water. Bring this water to a boil. Boil the water till it reduces to half of its original quantity. Strain and sip this tea. Take this fenugreek tea 2-3 times a day till you get relief from your sinus infection. Did you know that mustard seeds have enough heat in them that can break up congestion! Probably this is the reason why these spicy seeds have been used in chest plasters. Not only this, mustard seeds, when applied externally, can even deplete the nerve cells of substance P which is a chemical having the function of transmitting pain signals to your brain. This herb has anti-fungal properties too. So, why not use it for reducing your nasal congestion, pain and also the fungal infection if your sinusitis is due to some fungus! How to Use Mustard Seeds for Sinus Infection? Add mustard seeds to the glass of water. Boil this water till it reduces to half its quantity. When it is just a little warm, use the dropper to pour 3-4 drops of this mustard water into your nostrils. This will clean off your nasal passages. 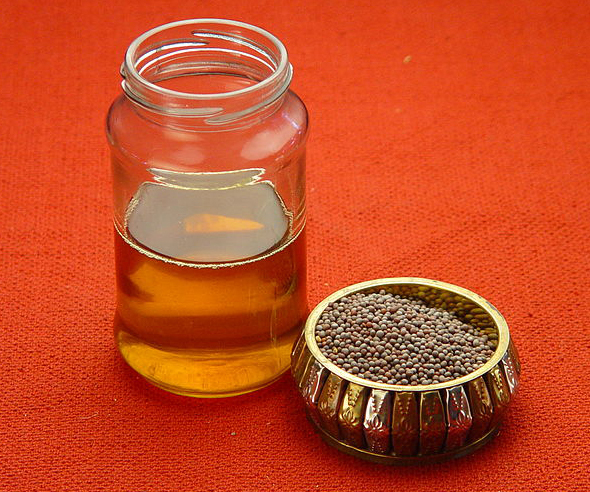 Mustard oil is a natural antimicrobial. As per the Journal of Food Science, certain components of mustard oil have been found effective against a variety of bacteria including salmonella, shigella, listeria and staphylococcus. How to Use Mustard Oil for Sinus Infection? With the help of a dropper, pour 1-2 drops of mustard oil into your nostrils. You may also take 2 drops of mustard oil onto your palm and draw this oil up through your nostril. Repeat with the other nostril. This remedy may instantly open up your blocked nose and give relief from pain. Cumin seeds have been used in many traditional medicine systems of the world, especially in Ayurveda, the Indian folk medicine. Ayurvedic scriptures categorize cumin seeds as cold in action and light, dry and slightly hot in nature. They can subdue mucus in your body. They not only reduce mucus formation but also cure swelling and thus are a good remedy for sinusitis. How to Use Cumin Seeds for Sinus Infection? Dry roast the cumin seeds. Grind the roasted cumin seeds to get its powder. Add this cumin powder to honey and mix well. Have this paste once every day. Place the cumin seeds in a cloth that is loosely woven or one with tiny holes. Take this cloth close to your nose and inhale to get the fragrance of cumin seeds. This is beneficial in opening up the blocked nostrils due to inflammation. Black cumin seeds are derived from the nigella sativa plants and are also known as kalonji or nigella seeds. It is a very effective natural anti-inflammatory and analgesic substance. Black seed oil contains many plant chemicals like beta-sterol, carotenes, oleic acid, linoleic acid, palmitic, stearic and melathin and also the volatile oil called nigellone. This oil has powerful antioxidant, analgesic, antibacterial, antimycotic, anti-fungal, anticonvulsant, angiogenesis antihistamine, anti-inflammatory, anti-spasmodic and anti-tumour, expectorative, hemolytic and immune stimulating properties. You can use the black cumin seeds or its oil for getting relief in case of sinusitis. How to Use Black Cumin Seeds for Sinus Infection? Take 1 tsp of black cumin seeds and place it on a clean cloth, preferably a perforated cotton cloth. Tie or wrap this cloth loosely. Bring it near your nose and inhale the fragrance to get relief. If using black cumin seeds oil, mix half a teaspoon this oil in hot water and inhale the steam. The sweet tasting aromatic herb spice cinnamon is antibacterial, antiseptic and antiviral. It has been traditionally used to cure respiratory problems like a sore throat, flu, nasal congestion and sore throat. Chemicals in cinnamon bark such as eugenol and cinnamaldehyde can destroy harmful bacteria causing infection of a sinus. Not only this, cinnamon is also anti-inflammatory and can give you relief from inflamed sinus that makes your air passages narrow and leaves you with breathing difficulties. So use cinnamon remedies to soothe sinus membrane linings and get rid of mucus. Mix ¼ tsp of cinnamon powder with 1 tbsp of honey and have this day to clear blocked sinuses and to relieve chronic coughs and colds. You may also mix 1-2 tsp of cinnamon powder with a little water to make a paste. Apply this paste all over your forehead and nose to clear off the blockage in sinuses. You just read the benefits of cinnamon for clearing your blocked sinus. When you mix cinnamon oil with some other essential oils and make a diffuser, you may really get instant relief from not only nasal congestion but an also sinus headache. Here is a recipe for such a home diffuser using cinnamon, clove and thyme essential oils all of which have anti-bacterial properties. Boil the water in a pan and put off the flame. Add all the essential oils to this hot water. Incline your face towards the pan while sitting straight. Drape the towel over your head and cover the pan in a way that the steam coming out of the pan could be inhaled by you. Inhale the steam for a few minutes. Repeat 3-5 times a day. This is one of the best remedies for a sinus infection and also for bronchitis. This also cures any a headache or an earache caused due to sinusitis. The pungent root of horseradish herb has been used traditionally as mucolytics for curing sinus infection. Mucolytics break up mucus and help in proper sinus drainage. Thus, horseradish renders itself as one of the best remedies for sinus congestion. The antibiotic properties of horseradish may be the result of its high sulfur content. While it has been recognized as a safe herb for internal and external usage, you should always start with smaller amounts. How to Use Horseradish for Sinus Infection? Start with a lower dosage, as low as ¼ tsp. Grate fresh horseradish root to get ¼ tsp of the grated herb. Place this grated horseradish root in your mouth and hold it there till the time you don’t feel its taste any longer. After all its taste has gone, swallow whatever remains in your mouth. This way, the horseradish components will start loosening your mucus immediately and drain it down your throat. Not only will you feel relieved of your pressure but will also get rid of sinus infection. For the same reason for which horseradish is good for sinus infection remedy, onion too is good for clearing your blocked sinuses. Yes, onion is also rich in sulfur content and thus can be used to get rid of sinusitis. This is probably also the reason why you cry while chopping onions. The chemical compound quercetin in onions has antihistamine and anti-inflammatory properties which makes raw onion effective in clearing congested sinuses. How to Use Onion for Sinus Infection? If you have an only mild infection of sinus, chop few onions yourself while cooking. This will make your eyes and nose run with water and your nasal passages will get cleared. If you don’t like this way due to unwanted eye irritation, you may thinly slice the onions and add them to boiling water. Boil them for about 5-7 minutes and then inhale the steam. You may also add pieces of raw onion to your hot broth or make a clear onion soup. Take this broth or soup in a cup and sip. While the steam will be inhaled by you while breathing close to the cup, you will also consume the raw onions for further benefit in clearing off the sinus. Apple Cider Vinegar (ACV), one of the almost magical remedies for hundreds of ailments can also come to help you with a sinus infection! The vinegar breaks up the mucus in your body to give you relief from chronic sinusitis. The rich potassium content of ACV also helps you get rid of a runny nose. It also has antimicrobial properties that kill to get you rid of sinus infection. How to Use Apple Cider Vinegar for Sinus Infection? Try to take apple cider vinegar (ACV) just as you experience the onset of allergy or cold such as a sinus headache, watery or stuffy nose etc. Mix 1/8 to 1/4 cup (2-4 tbsp) ACV with 16 oz (about 2 cups) of water. Sip this water throughout the day. 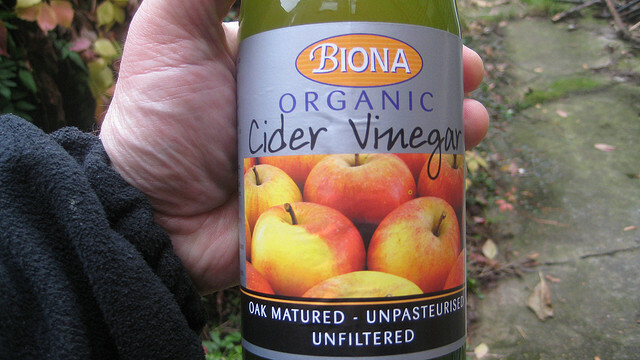 You may also swallow undiluted ACV, about 1-2 tbsp of it, at once. This will, however, give you a burning sensation in your throat but may immediately clear your nasal passages. Add 1-2 teaspoons of apple cider vinegar to a glass of warm water. Use this water to rinse your sinus cavities. You may use neti pot for the purpose. Add 2-3 teaspoons of ACV to a bowl of hot water. Now inhale the steam. Echinacea herb which belongs to the sunflower family has been long used by Native Americans to cure colds and flu. It has also come to be recognized as an effective remedy for sinus infection due to its strong antibacterial properties. As echinacea also strengthens the immune system, it is thought to be a better option to kill the bacteria or virus so that they do not come back easily. Add echinacea to boiling water. Have 4-6 cups of echinacea tea daily till you get relief from a sinus infection. If taking any medicines, it’s better to consult your doctor before adopting any herbal remedy for sinus infection. Among many components of the oil derived from the medicinal herb oregano, the two components- carvacrol and thymol are of great therapeutic use. These components make oregano oil antiviral, antibacterial, antifungal, antimicrobial, antioxidant, antispasmodic and antiseptic. Not only does oregano oil fight off infections, pains and inflammation but also strengthens your immune system. Along with many other ailments, oregano oil is effectively used to treat sinus infections as well. Dilute 1-2 drops of oregano oil with 1-2 tsp of water and keep this under your tongue. Mix a couple of oregano oil drops with olive oil and rub over your forehead, nose to open up blocked sinuses and nasal passages. Add 2-3 drops of oregano oil to hot water and inhale its steam. The above-mentioned home herbal remedies for sinus infection tell you about various natural ingredients that can give you relief from sinus symptoms and infections. You need to try them one by one and find out the exact remedy that works for your sinus infection! Nice advice.Hope they will work perfectly as outlined. Tried the cinnamon on the fore head. Burnt like crazy… Actually blistered me. Hey, did you use it with the combination of honey? ?It has to be dilluted properly before using it.